In a potent, symbolic move, US Attorney General Eric Holder ordered the Department of Justice to scale back its intake of cash, cars, and property from Americans not convicted of any crime. Under federal and state forfeiture law, police have seized $2.5 billion since 2011 from motorists and others “without search warrants or indictments,” the Washington Post reported. Cops have spent citizens’ cash on luxury cars, high-powered weapons and parties, reports have found. Under Holder’s new memo, the DOJ must generally refuse seized property and cash shared with them by local and state police — a process called "federal adoption." 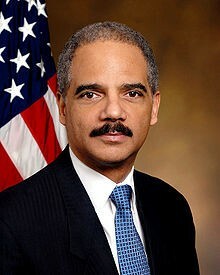 “Federal adoption of property seized by state or local law enforcement under state law is prohibited,” Holder writes. There are exceptions to the new ban, including a glaring one for joint federal-state task forces. Joint task forces conduct a large amount of marijuana enforcement in America. It also seems like the memo will have no bearing on federal efforts to directly seize Bay Area dispensaries Harborside Health Center and Berkeley Patients Group. Those forfeitures are not state or local-driven, and would not be considered instances of federal adoption. Holder's move is part of historic pushback against what critics say is out-of-control asset forfeiture in America. “For years, advocates have criticized the Department of Justice practice of accepting and processing seized assets such as cash, cars and other property from state and local law enforcement agencies through its Equitable Sharing Program, which retains 20 percent of the proceeds from the seizure received from a state or local law enforcement agency and returns 80 percent of the proceeds to the state or local law enforcement agency that initiated the seizure.